Black Bean Tacos come together in 15 minutes and make an incredibly easy, and delicious, cheesy baked taco. Served with an optional creamy avocado sauce, these meatless tacos are PERFECT for busy nights! 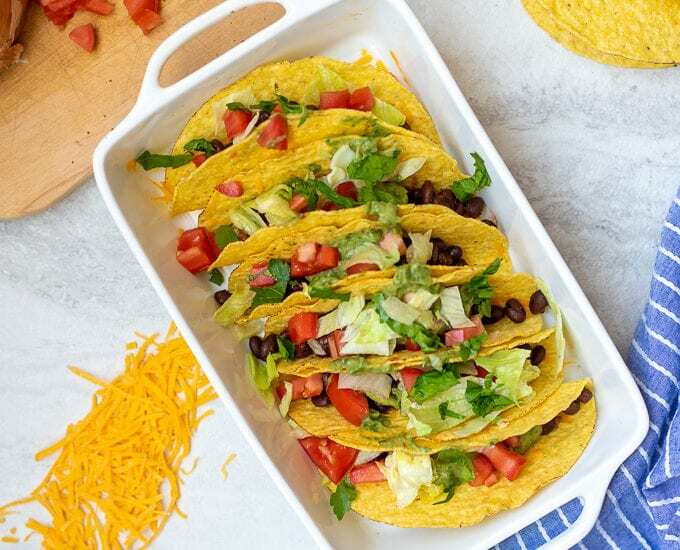 Pair these Easy Black Bean Tacos with Easy Corn Salsa and Pina Colada Smoothies for simple meal your entire family will enjoy! I love to solve your dinner dilemmas….